Thomas Kong and Dan Miller, May 2017/Photo: Ruby T.
During my recent visit to Kim’s Corner Food in Rogers Park, store owner and manager Thomas Kong stepped outside following a short cloudburst of rain. From there, Kong called to Dan Miller, an artist who has been his constant collaborator for the last three years, to grab his camera and meet him. When Miller emerged from the shop, Kong asked him to snap a picture of a swath of sidewalk bearing the water-stained traces of freshly fallen rain, and he happily obliged. I had come to get a sense of the artistic partnership between Kong and Miller, prepared with questions on the nature of contemporary artistic collaboration, unconventional exhibition spaces, public art, shared labor, and so on. But in this moment, I realized that perhaps I was overthinking it and that the crux of their collaboration could be a simple matter of mutual respect and friendship. Miller’s approach toward Kong’s work makes that wholly apparent. He is careful not to project too much art-world jargon onto it, but is clearly interested in how Kong’s method and approach could be re-evaluated as a form of radical artistic practice. “He’s the most productive yet happiest artist I know,” Miller tells me. 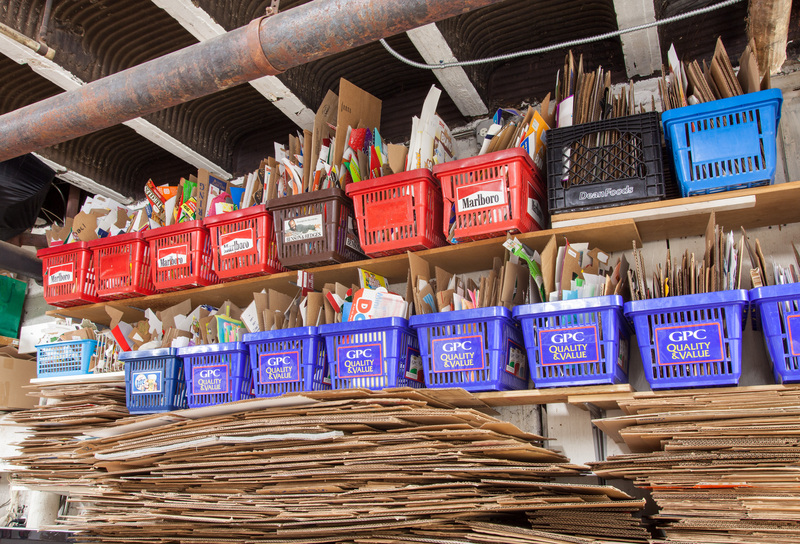 In Kong’s years running Kim’s, he has created thousands of collages using discarded product packaging from the store—Newport cigarette cartons, Little Debbie cakes, Pepsi twelve-pack boxes, etc. For years, Kong has mounted them with glue or tape to cardboard supports and hung them in the store. The artworks dominate the retail space, lining the backs of shelves, plastered to the windows and overtaking their still-for-sale counterparts. And while each work stands on its own, it would seem the project is really the shop itself, a functioning retail store usurped by Kong’s inexhaustible desire to reproduce endless formal variations from the remnants of the products it proffers. Seeing the daily flow of customers coming into the shop to buy soda or cigarettes feels peculiar, like someone doing legitimate grocery shopping inside of a total work of art. Miller and Kong reach for these generative potentials in alternative models of collaboration with the hope of achieving artistic autonomy through mutual self-recognition. Another Chicago staple, Marc Fischer’s and Brett Bloom’s long-running Temporary Services project, has a similar modus operandi, and it’s no surprise that these two projects have come together. Since 1998 Temporary Services has been producing projects, exhibitions, events, and an extensive library of small, self-published, and easily disseminated publications with myriad collaborations and co-authors. A cursory glimpse through these publications provides an index of dialogical endeavors, many regarding Chicago-based subjects, ranging broadly in topics from interactive album-cover design to prison-reform strategies. Temporary Services isn’t a panacea to entrenched art-world hierarchies, but their brand of affordable objects and intimate and oft-overlooked subjects has a clear affinity with Miller’s and Kong’s projects. This July, Temporary Services publishes “At Work with Thomas Kong,” authored by Miller and Kong with illustrations by the current Back Room resident artist Ruby T. The publication will be released in the context of Temporary Services’ “Self-Reliance Library”—“an autonomous reading and creating library”—as part of their ongoing “Self-Reliance School” project at Oak Park’s new Compound Yellow art space. The book appears just ahead of the realization of another longstanding project, the painting of Kong’s and Miller’s mural design—proposed to the community in 2015 via an exhibition at Roman Susan, another Rogers Park gallery—on the neighborhood’s Mile of Murals in August. 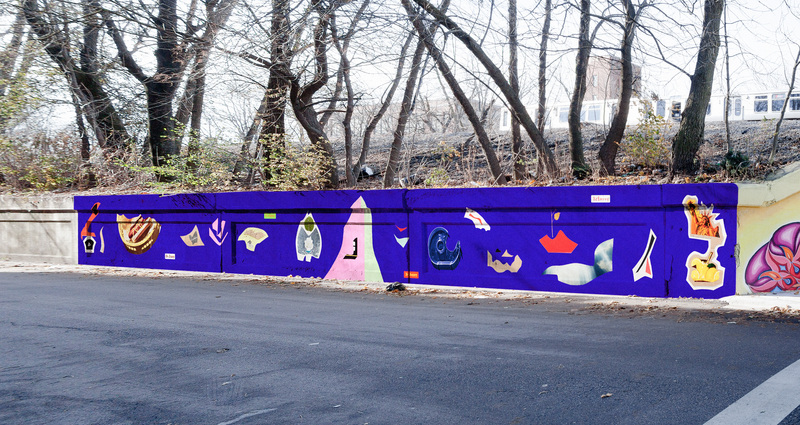 The Mile of Murals has been a Rogers Park fixture since 2008, depicting relevant themes for the neighborhood and inviting local artists and residents to design and paint the murals. Kong and Miller’s mural, titled “Be Happy” after Kong’s personal slogan that appears in many of his collages, will be fittingly painted directly adjacent from Kim’s Corner Food, expanding and enlarging Kong’s project across the street and further into the community. 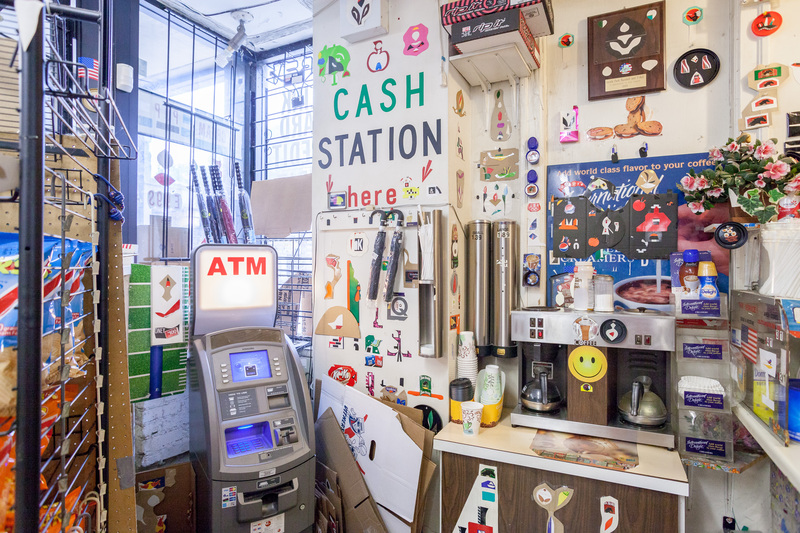 Miller writes, “As I’ve been putting together the publication I’ve been thinking about not just how my collaboration with Thomas Kong and The Back Room might intersect with ideas about building self-sustained communities both inside and outside art, but also how Thomas’ current art practice—using his convenience store as a fully-functional front for an art studio—might actually provoke thinking about possible new models for sustainable creative practice.” These alternative models—white-cube-resistant exhibition spaces, DIY books, public murals—have found themselves subject to scrutiny in recent years, lamented as “New Institutionalism,” a term that maligns alternative strategies as covert redistributed arms of the traditional market. Yet, in the case of this collaboration between Miller and Kong, there is a prevailing sense of mutual support reconfigured as a tactical maneuver, acquiescing their institutional role by addressing the question of what an institution should do and whom it should serve. For now, it would seem Kong and Miller are content in this space, happy to let the products of the process speak for themselves. Temporary Services launches “At Work With Thomas Kong” on July 22 at Compound Yellow in Oak Park with Dan Miller and Ruby T in conversation with Kate Sierzputowski. The “Be Happy” mural begins August 2017 in Rogers Park, across from Kim’s Corner Food and The Back Room, 1371 West Estes. Ruby T’s “Tenses” shows at The Back Room until July 30.